The following is a study from Christoph Freiberg in 2006. While the likelihood of this kind of position occurring in an actual game is highly unlikely, I think this puzzle does a great job of showing the power of forcing moves. Before you look at the answer, its White to move and win, do you think you can solve it? 10.Nb5+! Not 10. Nxf5+? 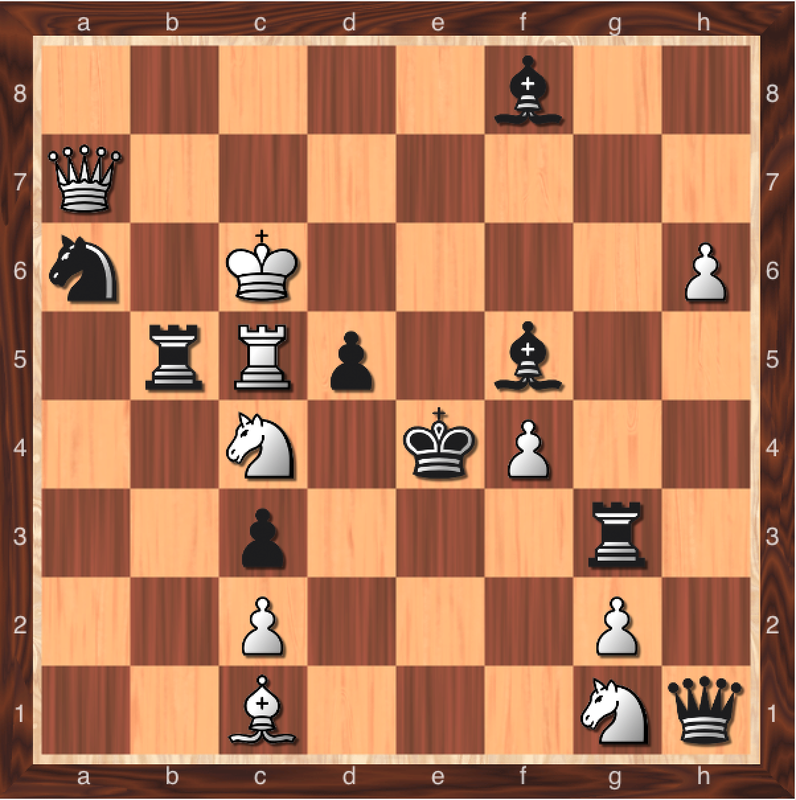 ?, the bishop on f5 actually limits the black king’s mobility, eliminating it would give black an escape square. Due to the limited space of Black’s king, White can impose his will onto the position despite a significant material disadvantage.